Michael J. Tolinski age 48 lived in Northampton, MA left this world and moved onto the next space and time. Mike died of a heart attack while running in Florence Massachusetts on Tuesday, June 14, 2016. His death was sudden and unexpected. He leaves behind a legacy of words, images and a life of deeds. Mike was a critical thinker, a writer, a lover of all things beautiful, an intellectual, a humanist, an environmentalist, a hiker, an existentialist, a philosopher, a football fan, a runner, a romantic, a vegetarian, and a supporter of artists. He pushed others toward excellence and he expected nothing less for himself. Mike was a kind and gentle man and left an imprint on those he knew. Mike wrote two published books for the plastics industry. His most significant book for the industry is Plastics and Sustainability. His portfolio also includes over 100 articles. Mike has three unpublished books. The first is a memoir of his experience of running an art gallery in Plymouth, Michigan from 2009 to 2012. His second book is a novel that takes place in the Midwest in the 1800’s. The third is a book of poetry. His life partner has every intention of getting his unpublished books out into the world. Mike leaves behind the love of his life of 14 years, Shaqe Kalaj . They were two wandering souls who found true love and respect for their differences. His father Raymond and mother Helen (Fulan) have already left this world. Mike has two older brothers that will miss his friendship and devotion to their sons. Ray is the oldest brother with wife Margo, and their three sons Brandon, Brian, and Brett. His second oldest brother is Ed with wife LeeAnn, and their two sons Joshua and Justin. Mike also leaves behind his pet bird (cockatiel), Besa, to Shaqe for continued companionship. A memorial service will be held on Thursday, June 30, 2016 on Mount Tom located in Holyoke. A vegetarian/vegan potluck will be held at 4pm at the Pavilion near the Visitor Center. From 5:30 to 6:00pm there will be a light hike in Mike’s memory. From 6:15 to 7:30 a humanist service at the Pavillion will conclude the memorial Please bring a blanket or a folding chair for the service. Dress comfortably for a light hike A private service will also be held at Mike’s hometown in South Lyon, Michigan. In lieu of flowers gifts in Mike’s memory can be made to the Vine Sanctuary in Springfield, VT at www.bravebirds.org. Healgrief has a memorial to share with you. 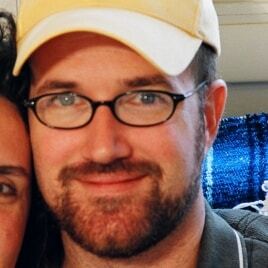 https://healgrief.org/michael-j-tolinski/ We invite you to express condolences, share special memories and photos and light virtual candles to honor and celebrate the life of our loved one. We also invite you to share this with others who may want to be notified as well. You may do so by sharing the link or by clicking the “Share this Memorial” button from within the memorial itself.